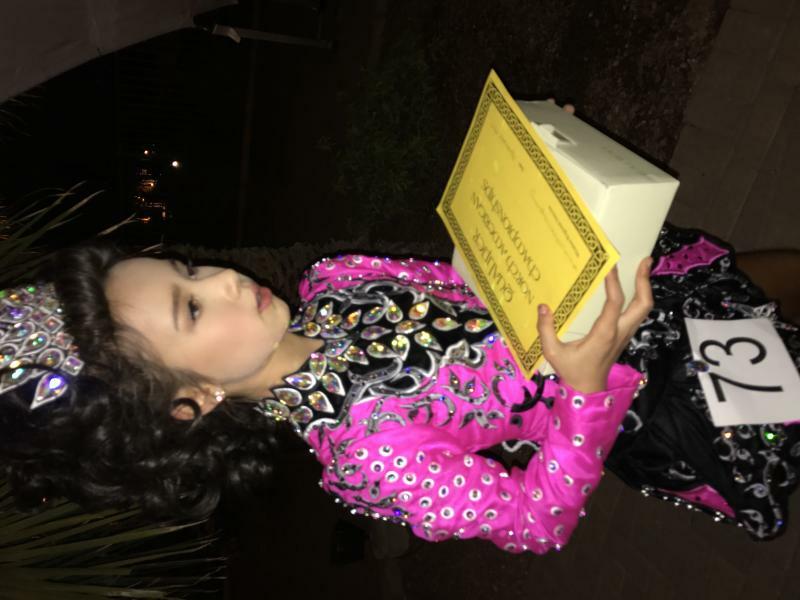 dance.net - 3 months old, classy and beautiful butterfly dress from Taylor for 9 to 11 years old (10248310) - Read article: Ballet, Jazz, Modern, Hip Hop, Tap, Irish, Disco, Twirling, Cheer: Photos, Chat, Games, Jobs, Events! Edited by A_McMahon (297672) on 2017-11-25 19:36:55 There was a mistake in the measurements. The bust is 25 not 23 inches. 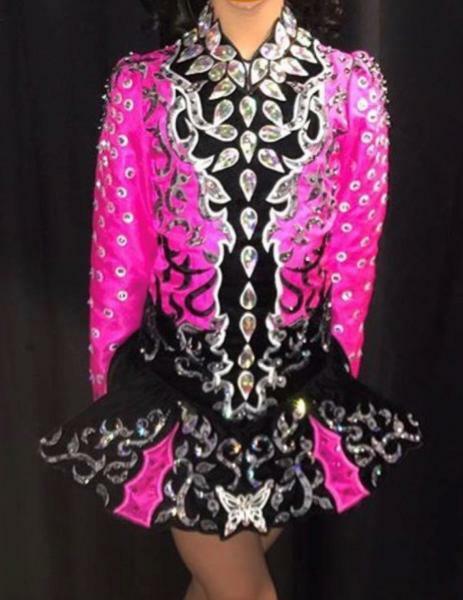 This elegant and admirable, stunning dress privately designed by Irishdancedresscreations and made with Taylor has to be sold because of the dancer's massive growth spurt. It was never altered and is in great condition since it's barely 3 months old. 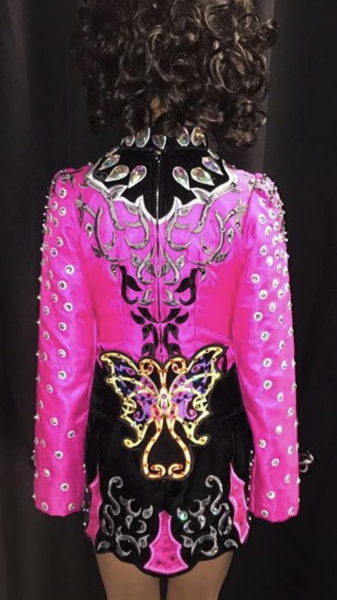 The AB crystals in the front shines dramatically while the butterfly shawl on the back surely catches anyone's eyes on the stage. The shape of the dress with the perfect balance of the skirt to bodice is very sophisticated for any major competitions. Buyer will not be disappointed. A slim U11 dancer was wearing it but it became too short for her since she is almost 5 feet now. The dress will be great for 9 to 11 years old. Our household is smoke/pet free and it has been stored in the complete cover at all time. Please feel free to contact me for any other questions. Shipping for the US buyer is included. Overseas' shipping is extra. For the US buyers, we will consider return within 3 days with the condition of buyer paying all shipping cost for the return, and we will refund the dress price. Overseas returns are negotiable.